Canada may be largely off Donald Trump’s radar, but it’s still vulnerable. While Mexico’s peso currency plunged more than 12 percent on his surprise election as U.S. president, the Canadian dollar barely budged. Investors appear to be gambling Trump’s call to rip up NAFTA won’t affect the export-dependent economy. 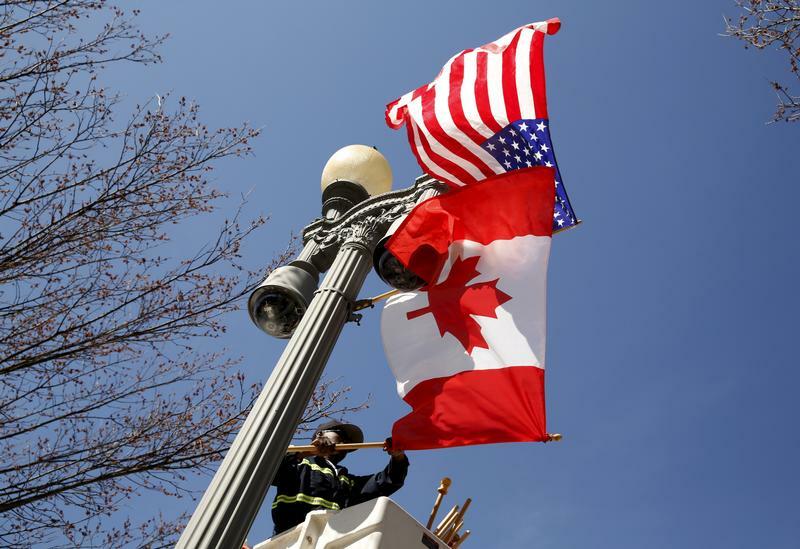 Perhaps, but Canada is susceptible to other forms of turbulence emanating from Washington. Exports account for about a third of Canada’s GDP. Of these, about three-quarters go to the United States. Moreover, the two economies’ tight intertwining means many companies are dependent on American imports. While a trade war would be serious – a study by Export Development Canada estimated exports to the United States could drop up to 5 percent if a 10 percent tariff were slapped on goods – it seems improbable. Withdrawal from NAFTA is possible with six months’ notice, but the American Senate might challenge the decision. Moreover, a previous free-trade agreement would still be in effect. Trump could slap on tariffs, but many American firms, such as General Motors, Ford and their employees, would be collateral damage in a trade war. That cost might not be worth the bother for a president more concerned about unfair trade with China and Mexico. Canada’s Prime Minister Justin Trudeau has said negotiation is always an option. That could open the door for other topics. Trump, for example, said he backs the Keystone XL pipeline to move more Canadian oil to U.S. terminals, which would presumably benefit pipeline owner TransCanada – as long as America receives a cut of the revenue. That’s hard to imagine under trade laws, but perhaps there can be some indirect give-and-take in other areas, such as the long dispute over Canadian lumber imports. The two leaders could even discuss a shared interest in infrastructure. The risk from Canada’s south isn’t just trade. Canada’s interest rates follow the lead of the Federal Reserve. Should U.S. inflation take off, or investors demand a higher risk premium on U.S. Treasury bills, that would probably raise rates in Canada. With debt-to-disposable income at record levels there, closing in on 170 percent, consumer spending would take a big hit. Even if Trump ignores Canada, the country doesn’t have the same luxury when it comes to its neighbor. Canadian Prime Minister Justin Trudeau and U.S. President-elect Donald Trump spoke on Nov. 9 about the importance of the relationship between the two countries, and invited each other for a visit to their respective countries. In a public event, Trudeau said he looked forward to working with Trump.